Hi, my name is Drs. Chris Hammond. My dental practice, Hammond Aesthetic & General Dentistry, has been serving the Provo, Utah area since 1967. 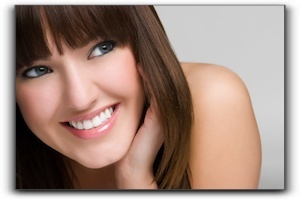 Today in my Orem dental blog, I would like to highlight four ways you can improve your smile. 2. Dental Implants are another common procedure that many Provo residents seek. A dental implant is secured into the jawbone to replace the roots of a lost tooth. A crown is then attached to the implant to replace the missing tooth. Along with improving appearance and restoring tooth function, the dental implant does double-duty by helping to preserve bone support. 3. Dental Bonding can be done with various materials such as porcelains and composite resins. With recent advances in cosmetic dental services, these materials can more precisely replicate natural tooth structure and natural appearance. This procedure is commonly used to correct chipped or cracked teeth. 4. Periodontal Plastic Surgery is a wonderful solution for gum recession and cosmetic irregularities. Gum tissue is removed or added to give the appropriate framework to the teeth. I hope this post has helped you to get better acquainted with some highly effective cosmetic dentistry treatments. A combination of procedures can be used to give Provo dental patients a complete smile redesign. 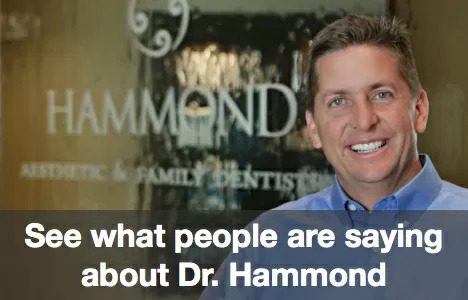 To schedule an appointment at Hammond Aesthetic & General Dentistry, give us a call at 801-374-0070.